As a continuation to our discourse on Myofascial Trigger Point Release Therapy, Chartered Physiotherapists may utilize the more advanced and effective Deep Dry Needling, as opposed to hands on Myofascial Trigger Point Therapy. 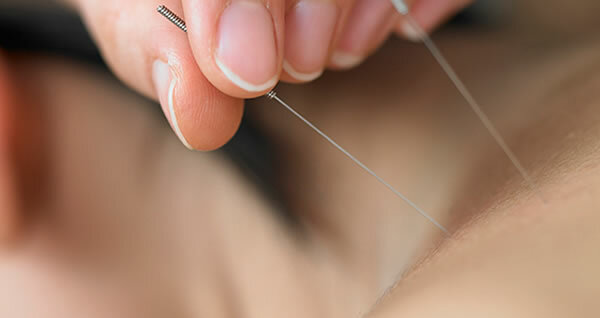 Dry Needling is an invasive procedure in which a solid filament needle is inserted into the skin and muscle directly at a myofascial trigger point. A myofascial trigger point consists of multiple contraction knots which are related to the production and maintenance of a patients pain cycle. Historically, Deep Dry Needling is primarily a Western technique, which was first explored and recorded by President John F. Kennedy’s doctors, Dr. Janet Travell and Dr. David Simons. How Dry Needling exactly works is not known, but we do know that is has mechanical and biomechanical effects. Based on the continued and pioneering research by Dr. Jay Shaw and colleagues at the National Institute of Health in Bethesda, Maryland, we know that inserting the needle into the trigger point can cause favourable biomechanical changes which assists in decreasing patients pain. Dry Needling can be used for a variety of musculoskeletal problems in which muscles are considered to be the primary contributing factor to the signs and symptoms. Such conditions include, but are not limited to neck, back and shoulder pain, arm pain (tennis elbow, carpal tunnel, golfers elbow), headache to include migraines and tension type head-aches, jaw pain, buttock pain and leg pain (sciatica, hamstring strains, calf tightness/spasms). Typically it takes several visits for a positive reaction to take place. In essence, your chartered physiotherapist is trying to create mechanical and biochemical changes which takes time. Therefore, we are looking for a cumulative response to achieve a certain threshold after which the pain cycle is changed. Dry Needling is often utilized in the clinic as just one of many modalities we utilize along with stretching, strengthening, etc. Treatment will continue until either there are no palpable Myofascial Trigger points, or until the patients complaints have been alleviated. With Thanks to Bethesda Physiocare (USA) and Dr. Jan Dommerhalt for some of the information provided in this article. Therese Ryan and Eibhlis Cooney are our in-house deep dry needling experts and are both members of the Irish Society of Chartered Physiotherapists practicing in Thurles and Templemore. For appointments please Phone 0504-26090. Our Exclusive Shockwave Therapy is a non-invasive, out-patient alternative to surgery for those suffering from joint and tendon disorders. At Premier County Physio, our highly trained physiotherapists offer a range of physical therapy services. Find out about our range of physiotherapy services and how we can help you. If you have a query, you can contact us via our online form. Alternatively you can contact us using the details below or follow us on Facebook and Twitter.